I have been a member of multiple writing groups since the early 1990s. Each one differs with advantages and disadvantages. Each time someone joins or drops out, it changes the dynamics. If you know you have thin skin, be willing to grow thick skin; or forego this until you do. It is not for the faint of heart. Knowing what you want out of a writing group helps you start one that meets your needs and desires. Do you need to learn to write first, before you start or participate in a writing group? If so, take a class or workshop, read and study the craft of writing, and/or just write. Do you want a group to edit your work only, analyze your work (plot, characters, and pacing), and/or to discuss the writing process? Are you willing to do the same? Can you find writers who offer you the same feedback for which you are looking? Do you work best in one-on-one pairs, small intimate groups of 3-4, or larger writing groups? I have found 8-12 is max for a dynamic group that allows time for all. How often do you need to meet in terms of your personal writing schedule? Can you draft enough writing to meet once a week, every other, or once a month? Some groups have a leader that organizes and moderates the group time. Usually that is someone quite experienced and published. Members simply bring a copy of their manuscripts for each group member that cover 2-5 pages, perhaps a scene, or a short chapter. Everyone reads his or her own work aloud. If the writer wants to hear their work from another voice, then another member reads it. Reviewers then offer suggestions on editorial comments on grammar, spelling, and punctuation. They provide what works in the piece and what does not work. They can also explain where they became confused or lost. Advantage: This particular way of running a group requires less time, by giving on-the-spot feedback comments. Disadvantage: Writing group members do not have in-depth time to review and reflect on the writing, so comments are usually limited to surface responses. Writing level: This specific approach is useful for experienced writers who do not need as much feedback and are skilled at writing and know what in a piece of work. They can offer feedback promptly. There are groups that meet once a month or every other week to give them more time to write and more time for readers to review each other’s work before the meeting. In one case I have been part of a ‘leaderless’ meeting. We each took responsibility for different things that needed to be done. A group I belonged to years ago met once a month. Here is how it worked. For example, during the month of December each writer brings sufficient copies of their chapter to distribute to each person. During the coming weeks, we read and comment in writing on the manuscript. At the following meeting in January, we would take each manuscript and make our comments, explain why we made them and discuss issues of point of view (POV), pacing, character development, and other big picture issues. In that same month, we distribute next month’s work for review. We handed the manuscripts that we marked up to the writer for his or her revisions. Advantage: This gave us extensive feedback on a broader scale of what is happening in a novel or essay, and how to address the issues. We included edits, as well as the movement, rhythm, and pace of the story or article. Disadvantage: In this setting, we did not read our pages aloud, so we missed hearing our words, which often lets one hear awkward words or phrases, or missed words. During a month between meetings, so we could forget where we were in a story. Writing Level: This approach gives inexperienced writers and reviewers time between meetings to read, study, ponder, and decide how to reply to the writer. Inexperienced writers grow quickly into more experienced writers and reviewers. The next example comes from my friend and mentor, Sheila Bender. 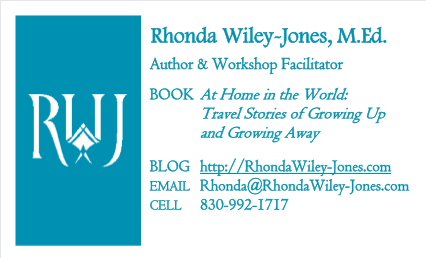 You can signup for her newsletter at WritingItReal and consider membership. The 3-step feedback process proves to be productive for most any writer and reviewer. Step #1: Identify the “Velcro” words, phrases, or sentences that stick with you in some way, that resonate in a good way. The purpose of this step is to give the writer positive feedback on what is working. Step #2: State the feelings that the writing creates in you from mad-sad-glad to anxious-afraid-relieved. This report tells the writer whether she has achieved what she set out to achieve. It lets her compare the reaction the reader has to what she hoped to create in the reader. Step #3: Inform the writer what questions you have after you have read the scene or chapter. Tell him what left you wanting to know more. Share your curiosity about unanswered questions with him. This allows the writer to know if he needs to flesh out the scene more or if he has overwritten it and needs to pare it down. 2. Advantage: This example provides objective feedback that keeps comments less personal and more focused on the writing. 3. Disadvantage: It requires reviewers to think deeply about the story, which may require more time and effort. 4. Level of reviewer: Anyone reading a scene or chapter is able to offer their opinions on these 3 items. It empowers inexperienced reviewers that they have significant input into another’s writing. Where did you get lost? Answering these 3 questions has similar advantages and disadvantages to Bender’s approach and requires little experience as a reviewer. There many other versions and adaptations of writing groups, but this overview can get you started. I can sum up my advice after twenty-five years of working in different types of writing support groups. Some have worked for a while, others have lasted years. But when one is still not viable, it is better to end the group than carry on in misery. If you are the only one unhappy, leave respectfully and gratefully for what it has given you. You can mix and match the meeting and feedback approaches. Comments and recommendations always should be about helping each other grow as a writer.Constructive criticism is the goal. Writer, remind yourself often: Don’t take it personally. Reviewer, remind yourself often: Don’t make it personal. Feedback is about your writing, not you. It may feel personal in that someone is trying to help you specifically related to your writing. For the writer to defend or explain his or her work, wastes time and is not the point. It is best for the writer to listen and take notes. As creator of the work, a writer is free to disagree and can choose to use or not use comments offered. Own your work. Everyone in the group should be actively writing. Equity in giving and receiving feedback is crucial to the sustained health of the group. Groups often need a leader to organize and moderate the meeting. I have been part of a successful leaderless group, in which all members took responsibility for the meeting. You must decide on the right person for the leader. Help your fellow writers when they read your work. Always double-space your work so others can edit between the lines. Number the pages, so the group can reference page and paragraph when discussing it. Put your name on the submission – it should be obvious why. Now, what has been your experience with writing groups? What has worked? What has not worked for you? Please share your experience with us. Ethel, it feels good to be so timely in helping others. Also good to hear from you.